Cities in the global South are undergoing major transformations that require new imaginaries and theoretical perspectives to explore urban dynamics. There has been a recent move towards de-centering urban theories and to develop an urban research agenda that challenges the persistent divides in knowledge production about urban issues. Development studies have to a large degree failed to take these shifts into account. Urban research is limited by its developmental underpinnings and search for policy solutions to urban informality, decay, inequality and poverty. Of course, most cities in the developing world still face major challenges with deep inequalities, informality and limited capacity to secure service delivery and move towards more sustainable and just cities. But while these are crucial focus areas for development research, development studies would also benefit from taking a broader approach. In this panel we seek to contribute to this emerging research agenda in development studies. We are interested in the changing imaginaries, processes and actors that currently shape the politics of urban governance in the global South. Many researchers assert that the governance of cities are converging around global neo-liberal hegemonic urban policies inspired by ‘best practices’ and policies that have worked ‘elsewhere’. While there is no doubt that these imaginaries and policies have had immense influence on city government, there are also new initiatives and innovations coming from many cities in the global South framed by alternative ideas and fronting new political solutions for urban development. This opens new questions about alternative imaginaries of the city and to what extent these are brought into dialogue or tension with more dominant urban imaginaries and policy solutions. What imaginaries frame these policies and strategies, and in whose interests are cities being governed? To what extent are these changing modes of urban governance able to tackle the challenges of inequality, differentiated citizenship and realize sustainable urban development? 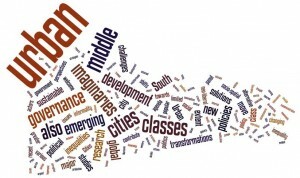 Cities are also home for the emerging middle classes in the Global South. Given the intimate linkages between a growing middle class, urban transformations, and aspirations for a certain lifestyle embedded in western urbanism and modernity, what role do the emerging middle classes play in urban politics and governance? To some extent neo-liberal urban governance is argued to work in the interest the middle classes and urban elites, at the expense of the working class and the urban poor. But do the emerging middle classes’ actions merely reproduce socio-spatial inequalities? One issue is whether the ‘strength’ and economic position of the urban middle classes is as solid as assumed. While greater socio-spatial inequalities are evident, these shifts could also mean greater socioeconomic diversity in various urban neighborhoods. How do these experiences fit the assumptions about a globalizing consumerist middle class? How do various social groups move between the ‘formal’ and ‘informal’ spaces of the city in context of these transformations? Middle classes are also central actors with major political power, and have been an important part of recent popular mobilization and social movements. In Brazilian cities, for instance, popular protests targeted government spending, corruption and maladministration. Can the emerging middle classes also be drivers for political alternatives that can contribute to sustainable and inclusive cities? We welcome papers on these and related issues for the panels of the Working Group Urban Governance. Comparative perspectives are especially welcome.